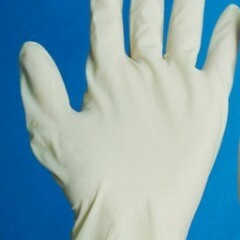 We would like to offer: latex gloves. For general (non-sterile) and medical or examination (sterile) purpose. For medical purpose, the gloves is manufactured to meet ASTM (American Society for Testing Material), WHO (World Health Organization) and FDA (Food and Drug Administration) regulatory requirements. Packaging for general purpose latex gloves: 100 pcs latex gloves in soft carton box. 10 soft carton boxes in master carton. Produced under ISO 9001 and CE certified manufacturer. Product of Indonesia. For any interested parties, pls kindly contact for further details. Thank you. Contact: +6285892224657 (whatsapp, viber). Address: Jl. Raden Wijaya #30, Mojokerto 61321, East Java, Indonesia.